MOSCOW, September 3 (RIA Novosti) - Russia and Syria are in talks on the delivery of at least eight MiG-31 Foxhound interceptors under a contract signed two years ago, a Russian business daily said on Thursday, citing an industry official. Kommersant said Russia has so far denied reaching a deal with Syria on MiG-31 sales, but Damascus insisted in May on the existence of a contract worth an estimated $400-500 million. "A couple of years ago we signed two contracts [with Syria] - one on MiG-29M and another - on MiG-31. The first is being implemented, but the MiG-31 contract has never become effective... I hope that the contract will be implemented sooner or later," Alexei Fyodorov, the head of Russia's United Aircraft Corporation (UAC), told Kommersant. According to Kommersant, Russia's Sokol aircraft manufacturing plant started preparatory work for assembly of MiG-31 from hulls (without engines and weapons) kept in storage since 1994, when the production of the interceptors was officially discontinued. However, the actual assembly has never materialized, the paper said. The MiG-31 Foxhound is a two-seat supersonic interceptor aircraft developed to replace the MiG-25 Foxbat. It is equipped with two D-30F6 turbofan two-shaft engines with a common afterburner and a variable supersonic nozzle, which allow the aircraft to fly at supersonic speeds of up to Mach 2.83. The interceptor also features unique air-to-air missiles capable of hitting targets at ranges exceeding 200 kilometers (125 miles), including aircraft with stealth capabilities, cruise missiles, and supersonic aircraft. According to various sources, about 500 MiG-31s have been produced since production began in 1978, approximately 370 of which remain in service with the Russian Air Force. The sales of MiG-31 aircraft to Damascus may spark criticism in the West and Israel, which consider arming Syria a threat to regional security, the Kommersant said. OSLO, Norway -- The Norwegian government says it has picked the U.S. developed F-35 Joint Strike Fighter to replace its aging U.S.-made F-16 aircraft in a roughly 60 billion kroner ($8.5 billion) deal. The U.S. led-consortium had been competing with Sweden's JAS Gripen fighter to replace NATO-member Norway's 48 US-made F-16s. 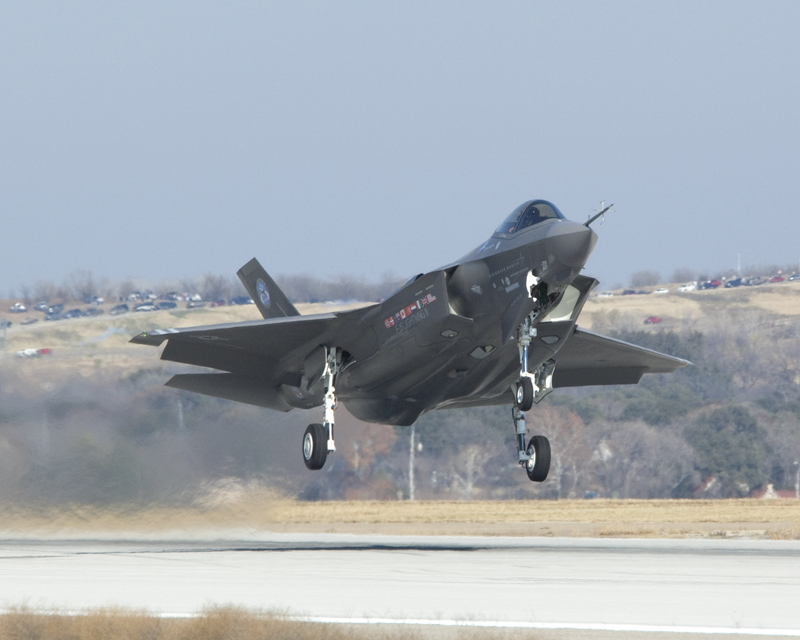 A news release from the government says the Joint Strike Fighter project led by U.S. company Lockheed Martin Corp. was selected on the basis of price and the aircraft's ability to meet Norway's operational requirements. Defense Minister Anne-Grete Stroem-Erichsen says the American fighter won in all key areas, including aerial information gathering and combat. The decision was announced in a statement on Thursday. A US B-2 stealth bomber - one of the most expensive military aircraft in the world - has crashed at an air base on the Pacific island of Guam. The United States Air Force (USAF) said both pilots had ejected safely before the plane came down at Andersen Air Force Base, shortly after take-off. The three other B-2s from the flight were held back at the airport after the incident. This is the first crash of a B-2 which has been in service for over 15 years. 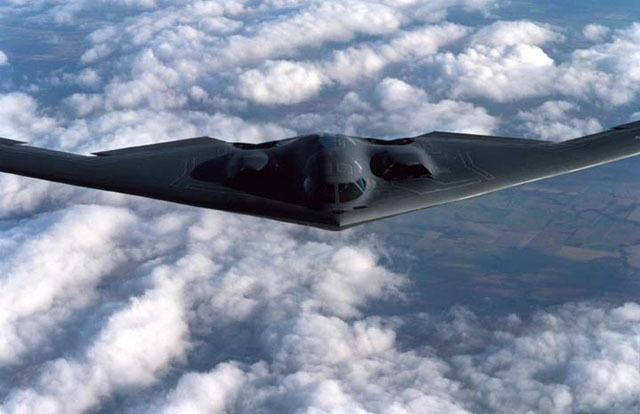 B-2 bombers, which can evade most radar signals, cost about $1.2bn (�610m) each to build. They have a range of 6,000 nautical miles (11,112 km) without refuelling and have seen service in Kosovo, Iraq and Afghanistan. According to the US Air Force the plane did not carry any live ammunition. Libya plans to buy 14 French-made Rafale fighters as well as 35 helicopters and military equipment in a deal worth 4.5 billion euros ($6.6 billion), a French presidential source said Dec. 10. The two countries signed a “memorandum of understanding” detailing a list of military hardware, including the Rafales and helicopters, which will be negotiated in detail on July 1, the source close to the deal said. The memorandum of understanding was one of around 10 contracts signed by French President Nicolas Sarkozy and Moamer Kadhafi on Dec. 10, the first day of the Libyan leader’s five day visit. Other items on the list include six boats, armored vehicles, anti-aerial attack radars, and the delivery of upgraded Mirage F-1s already bought by Libya. The sale of the Rafales — if it goes through — will be the first foreign sale of the French-made aircraft. Dec.5, 2007 -- Eurofighter GmbH has signed the contractual documents with its shareholder BAE Systems for the supply of 72 Eurofighter Typhoon aircraft to the Kingdom of Saudi Arabia. • Kingdom of Saudi Arabia 72. 48 Royal Air Force, 37 German Air Force, 26 Italian Air Force, 18 Spanish Air Force and 2 to Austria. The in-service Eurofighter Typhoon fleets have accumulated more than 28,000 flying hours since introduction into the Air Forces early 2004, while the industrial test fleet has logged over 5,500 flying hours. Dec.5, 2007 -- MOSCOW: An Air Force regiment deployed in Russia's Far East will be equipped with 20 upgraded Su-24M Fencer tactical bombers in the near future, a spokesman said Monday. 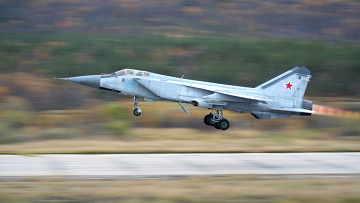 "An Air Force regiment based at the Pereyaslavka airfield in the Khabarovsk Region will receive 20 modernized Su-24 aircraft," Colonel Alexander Drobyshevsky said. The first six Su-24M fighter-bombers have already been upgraded at the Novosibirsk aircraft manufacturing plant and could be deployed with the regiment by December 10. Another six Su-24s are currently being modernized at the same plant, the spokesman said. 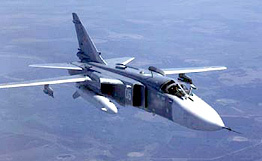 The Su-24 is a two-seat, twin-engine strike aircraft similar to NATO's Tornado and Mirage 2000 planes. The plane has been in service with the Russian Air Force since the mid-1970s, and in recent years Russia has gradually been phasing out the planes, which have a patchy safety record. According to the Defense Ministry, the Su-24 will be gradually replaced with new Su-34 Fullback strike aircraft, which has the potential to become the top plane in its class for years to come. 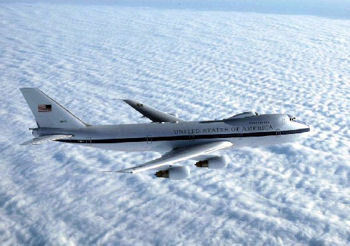 ST. LOUIS, Sept. 21, 2007 -- The Boeing Company recently delivered a refurbished E-4B National Airborne Operations Center to the U.S. Air Force Strategic Command after completing programmed depot maintenance (PDM) at its modification center in Wichita, Kan.
"With a small fleet of four aircraft, it is critical that we deliver this important national asset on cost and on schedule per the commitments we've made to our customer," said Andy Reheis, Boeing E-4B program manager. "Our employees take great pride in being able to return this asset to the customer so that it can perform its mission, and it shows in their performance." The announcement on 17 September of the purchase of 72 Eurofighter Typhoon by the Kingdom of Saudi Arabia looks set to start a wave of multibillion-dollar defence deals in the Middle East thanks to surging global crude oil prices. The deal, which the Saudi Ministry of Defence and Aviation said is initially worth GBP4.43 billion (USD8.9 billion), could eventually be worth more than GBP30 billion over the next 25 years to BAE Systems and its partners in the Eurofighter consortium. 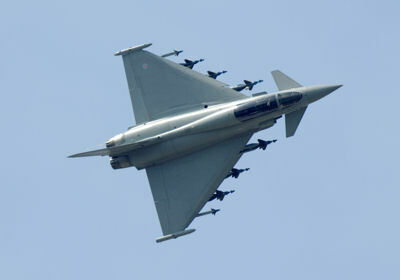 Eurofighter Typhoon during an airshow demonstration. Dubbed 'Project Salam', the deal is more than just an arms export contract. It involves the establishment of a Typhoon assembly line in Saudi Arabia and an unprecedented degree of defence technology transfer to a Middle Eastern country. "This new defence co-operation programme builds on a long and successful relationship between the UK and Saudi Arabian governments and their armed forces," the UK Ministry of Defence announced on Monday. "Saudi Arabia continues to be an important strategic ally for the UK in the Middle East, playing a moderating leadership role in promoting regional stability. This agreement will be supported by substantial logistical and training packages." 'Project Salam' reportedly involves a series of multilayered contracts and diplomatic agreements. According to the Saudi Press Agency, the deal was finally signed on 29 August and the unit "price of one [Typhoon] is similar to the price when it is sold to the [UK] Royal Air Force [RAF]". BAE Systems said the agreement was expected "to become effective in due course" and the company welcomed the news as an "important milestone in its strategy to continue to develop Saudi Arabia as a key home market with substantial employment and investment in future in-kingdom industrial capability". 13 August 2007 -- Hallbergmoos - Following the delivery of ST008, EADS CASA has successfully completed all handovers of Tranche 1 Eurofighter Typhoons to the Spanish Air Force. 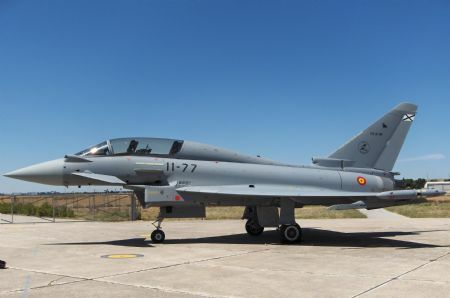 The aircraft, also the first Block 5 standard twin-seat to be delivered to one of the four Partner Air Forces, is the 18th Eurofighter Typhoon to be delivered to Ala 11 at Morón Air Base, and becomes the 127th weapons system (including five Instrumented Production Aircraft) to be delivered to the Partner Nations. IPA4, operated by EADS CASA, in Getafe was the first Spanish Tranche 1 aircraft. August 2007 - EADS CASA deliver ST008 to the Spanish Air Force at Morón Air Base, Spain. ST008 is the final aircraft of Tranche 1 for the Spanish Air Force, and is also the first Block 5 twin-seat weapon system to be delivered to a Partner Air Force. 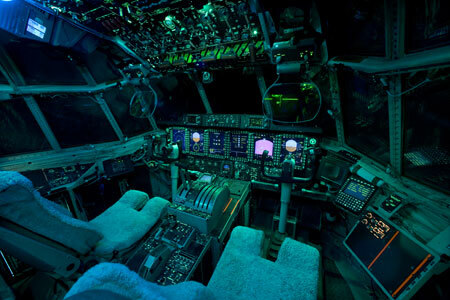 ST. LOUIS, March 07, 2007 -- The Boeing Company has begun training U.S. Air Force flight crews and maintenance personnel in a key step in preparation for the fielding of C-130 Avionics Modernization Program (AMP) aircraft in 2010. Boeing is providing training for U.S. Air Force flight crews and maintenance personnel on the new C-130 Avionics Modernization Program cockpit (pictured) at Edwards Air Force Base, Calif.
Four ASRAAM were successfully launched by Typhoon F2s of No 3 (Fighter) Sqn based at RAF Coningsby, near Sleaford, Lincolnshire, at the Aberporth weapons range in Cardigan Bay, Wales, during the week 26 February to 02 March 2007. These successful firings represent a further step towards Typhoon’s planned take over of the southern element of the United Kingdom’s Quick Reaction Alert (QRA) air defence stance, which 3 (F) Squadron will undertake from the middle of this year (2007). “The first front-line firings of ASRAAM represent a significant milestone in the Typhoon Force’s progress towards operational deployment,” said Wing Commander Lol (correct) Bennett, Officer Commanding 3 (F) Squadron. “The fact that we were able to let one of our most junior pilots fire one of the missiles is a testament to the overall weapon system integration,” he added. 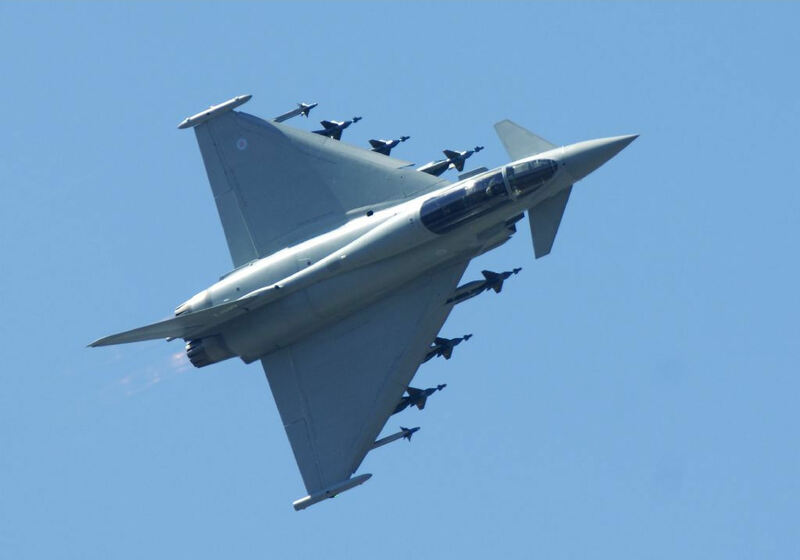 Squadron Qualified Weapons Instructor, Flight Lieutenant Chris Layden, said: “These firings demonstrate that Typhoon and ASRAAM are a winning combination providing lethality in the air-to-air arena”. The MBDA ASRAAM missiles will, together with AIM-120C-5 Advanced Medium-Range Missiles (AMRAAM), form the initial operational air defence weapons system to be deployed by Typhoon. ASRAAM was first test fired from a Typhoon in May 2005 belonging to No 17 (Reserve) Squadron, the Operational Evaluation Unit. 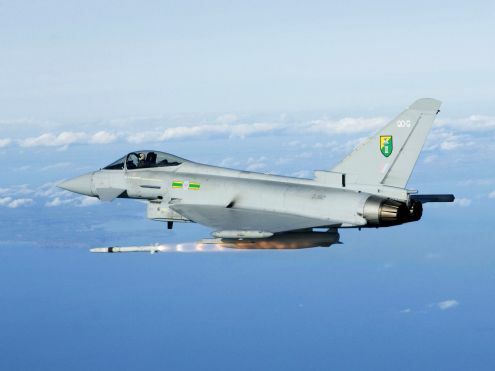 The Typhoons involved all operated from their home base at Coningsby, flying to Wales to launch their missiles at flare packs being towed by Mirach target drones over the sea. One missile was launched on each of four sorties during the week, the first of which was on Monday 26 February 2007. Australia already operates 71 older and less capable F/A-18s and the bigger Super Hornets will fill a gap to be left by the expected 2010 retirement of Vietnam-era F-111 strike bombers. Canberra has been in negotiations with Boeing for the purchase of the F/A-18E/F aircraft, radar systems and weapons countermeasures as an interim combat system before the arrival of up to 100 F-35 Joint Strike Fighters (JSF), worth more than A$15 billion. "Australia remains fully committed to the JSF. But the government is not prepared to accept any risk to air combat and strike capability during the transition to the JSF," Defence Minister Brendan Nelson told reporters. Australia, a close American ally, is a partner with the United States and seven other countries in developing the F-35, which made its first test flight in December, and Canberra expects delivery to start in 2013. 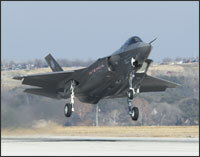 "The JSF is the most suitable aircraft for Australia's future combat and strike needs," said Nelson. But Australian defence planners are concerned about the possibility of cost overruns and delivery delays with the aircraft, prompting the decision to extend the current fighter fleet with the Super Hornet. The aircraft is substantially bigger than Australia's existing Hornets, which entered service in 1986. The Super Hornet has bigger, more powerful engines and can fly further with up to eight tonnes of armaments, compared with six tonnes aboard the older F/A-18. The deal, which also covers training, includes the aircraft, 48 installed engines and 6 spare engines, as well as 24 radar systems and 30 protection systems, known as electronic warfare countermeasures receiving sets. In addition to Boeing, defense contractors involved in the possible sale would include Northrop Grumman, Raytheon, BAE Systems, General Electric, Data Link Solutions, and Visions Systems International. The helicopters are part of a 16-aircraft order signed in 2002 between Kuwait's Ministry of Defense and the U.S. Department of Defense. The delivery schedules for the remaining 10 aircraft and contract details have not been announced. Kuwait is the seventh international defense force to select the AH-64D and the 11th Apache customer worldwide. "Delivery of these Apache Longbow aircraft on schedule for the Kuwaiti air force reinforces our 'promises made, promises kept' commitment to our customers and further strengthens the long-term customer relationships we have in this region," said Tommy Filler, director of Boeing International Apache Programs. "Boeing remains committed to sustaining the advanced capabilities of the Apache Longbow and ensuring that our Kuwaiti customer has the support needed to effectively operate and maintain this important asset." The AH-64D Apache Longbow, produced by Boeing in Mesa, Ariz., features fully integrated avionics and weapons plus a state-of-the-art modem that transmits real-time, secure, digitized battlefield information to air and ground forces. The Apache Longbow has the ability to rapidly detect, classify, prioritize and engage stationary or moving enemy targets at standoff ranges in nearly all weather environments. MOSCOW, March 5 - Russia will commission two modernized Tu-160 bombers in 2007, the Strategic Air Force commander said Monday. "We are modernizing the fleet of Tu-160 bombers...and are planning to receive two [modernized] aircraft by the end of this year," Lieutenant-General Igor Khvorov said, adding that one of the previously commissioned bombers will conduct test bombing runs in spring 2007. According to various sources, 16 Tu-160 bombers are currently in service with the Russian Air Force and they will continue to be the mainstay of Russia's strategic air assets. Khvorov also said that Russia was maintaining its global leadership in developing new missile systems, especially cruise missiles. He said Russia's strategic bombers will conduct about 10 cruise missile test launches this year, including during the joint CSTO-SCO maneuvers named Peaceful Mission Rubezh-2007 which will be held in the Russia's Volga-Urals area and will involve ground and air units from all member countries. However, the general reiterated that Russian strategic bombers never carry nuclear weapons when on combat duty. "At present, strategic bombers are deployed on the ground while on combat duty, but are capable of responding to orders immediately and carry out combat tasks anywhere in the world," Khvorov said. Airmen first validated the rounds at a firing range and then employed them in battle at the end of February. Ground forces east of Baghdad chased insurgents into a building and then called in close-air support. F-16s from the wing's 14th Expeditionary Fighter Squadron responded, strafing the insurgent stronghold and vehicle, said Lt. Col. Chuck Toplikar, squadron commander. Improved PGU-28A/B 20mm ammunition began replacing the long-used M56 high explosive incendiary ammunition in the wing's F-16s, making pilots' jobs easier, safer and more effective. That is a lofty claim, but recent combat sorties prove the ammo is enhancing combat airpower. The older M56 ammo required a specific impact velocity in order for its high explosive incendiary properties to function correctly. In other words, the round would not explode on impact if it did not get there fast enough, so pilots had to get in closer for the strafe. Of course, the impact and mass of the projectile would still damage the target, but would not achieve the full explosive effect for which it was designed. The new cannon round employs a more aerodynamic design and "hotter load," which increases its velocity and effective range, allowing greater standoff distance for pilots, according to wing officials. That increased distance directly translates to greater pilot safety overall, because they can fire the new rounds from more than a mile and a half away, said Capt. Jim Maxwell, the deputy chief of weapons and tactics at the wing. The captain also noted that when bullets can be used instead of bombs, the potential for collateral damage is reduced as well, increasing airpower options for the ground commander who must calculate the desired result when calling in air support, according to Captain Maxwell. Acquiring and readying the new ammo for use, though, was not an easy task. After airpower leaders determined the enhancements, the new cannon round could bring an "urgent operational need" in order to procure the PGU-28A/B, according to Senior Master Sgt. Michael Ray, 332nd Expeditionary Maintenance Squadron. New ammo came from as far away as Naval Air Stations Miramar, Calif., and Sigonella, Sicily, as well as Naval Base Guam and Iwakuni Marine Corps Air Station, Japan. When the ammo arrived, 332nd EMXS munitions members received and inspected more than 80,000 rounds in a lightning-fast six hours -- compared to the 8,000 rounds usually processed in a typical day. "It ain't ammo 'til we say it's ammo," Sergeant Ray said. The PGU-28A/B rounds then made their way through loading machines, called replenishers, to fill drummed universal ammunition loading systems, which are used by weapons loaders to arm the wing's F-16s. "Airmen toiled around the clock as well swapping PGU ammo for M56 rounds over a period of two days," said Capt. Kevin Tanner, 332nd EMXS officer in charge. That hard work allowed F-16 pilots to employ the ammo quickly. The weapons crew and ammo Airmen are a diverse group of members deploying from throughout the world -- Aviano Air Base, Italy; Misawa AB, Japan; Selfridge Air National Guard Base, Mich.; Syracuse ANGB, N.Y.; Duluth ANGB, Minn.; and Joint Reserve Base Ellington Field, Houston, Texas. "Our ammo and weapons loader personnel are just phenomenal," said Lt. Col. Patrick Kumashiro, the 332nd Expeditionary Maintenance Group deputy commander. "Ours is a total force team effort, and they managed to get our F-16s loaded within an amazing 48 hours of the ammo's arrival." Capt. George Watkins and 1st Lt. David Bennett, both from the 510th EFS here, made up the first two-ship combat mission to use the new cannon rounds. The pilots worked as a team employing standard night tactics where one "sparkles" the target with infrared marker invisible to anyone not wearing night vision goggles, and the other then strafes and destroys the target. "I'm excited to have the new ammo," Lieutenant Bennet said, "and glad to employ it to help the guys on the ground." Captain Watkins concurs, "Protecting the guys on the ground is our No. 1 priority, and having the new ammo makes it easier and safer for us to do that." Col. Scott Dennis commands the wing's 332nd Operations Group. "It's critical for ground forces who call in air support to get it when they need it," Colonel Dennis said. "These new rounds certainly kick our (close-air support) effectiveness up a notch." The six Raptors were participating in an inaugural 12-hour flight from Hawaii to Kadena Air Base in Okinawa, Japan on Feb. 10 when a "navigation anomaly" maimed several computer systems on the aircraft, an Air Force colonel said. The computer glitch, which occurred as aircraft crossed the International Date Line, crippled navigation systems and hindered communications. 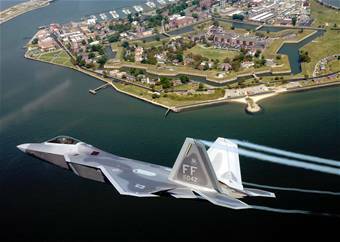 F-22 engineers and maintainers were able to locate the problem within hours and fixed the glitch in a matter of days on the aircraft. After successful testing, the aircraft continued their planned first overseas deployment to Kadena. It was a computer glitch in the approximately 1.7 million lines of code. The contract, which includes the life extension kit, engineering support, and other components, is valued at approximately $95 million. The life extension kit provides a low-risk, cost-effective solution by replacing all fatigue life limiting structure on the aircraft with enhanced design components and new, improved corrosion resistant materials. Lockheed Martin has installed the required production tooling to build P-3 Service Life Extension outer wings at its Marietta, Ga., plant. The Norwegian life extension kit includes the outer wings, the center wing lower surface, horizontal stabilizer, horizontal stabilizer leading edges, and nacelle components. These kits will incorporate design enhancements and new materials with increased corrosion resistance, essentially refreshing the fatigue critical components on the aircraft. This provides operators with another aircraft service life with significantly reduced maintenance costs, reduced down time, and increased aircraft availability. It also removes operational restrictions currently imposed on the global Orion fleet due to aging problems. Production of the Norwegian kits is scheduled to begin immediately. 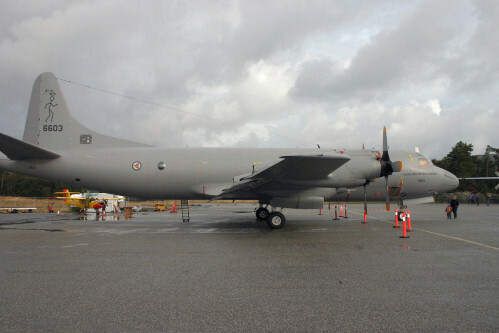 Norwegian Orion P-3N "Hjalmar Riiser-Larsen" from 333 Sqd. Texas Instruments Inc. made the chip that failed to perform as expected in extremely cold temperatures. The aircraft was grounded for nearly two years after two deadly accidents in 2000. It has continued to face technical issues in subsequent years, including a fire that led to restricted use of an engine air cleaner for some time. 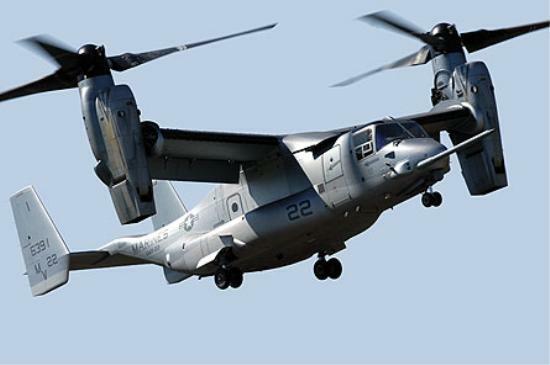 Balderson said the companies and the V-22 program office were continuing to investigate how the chip problem occurred, but said he was pleased the problem was detected by the planes' testing systems. "The process worked itself through pretty well," he said. "We didn't have any malfunctions or any problems in flight ... and we got it corrected pretty quickly." Balderson said all but one aircraft passed the necessary inspections to resume flights and the final airplane was due to be inspected at midday Monday. "They're returned to unrestricted flight status and we consider this problem behind us," he said. The Marine Corps expected to deploy the new V-22s to Iraq later this year, saying their ability to fly higher and faster than older helicopters could make them less vulnerable to ground attacks. 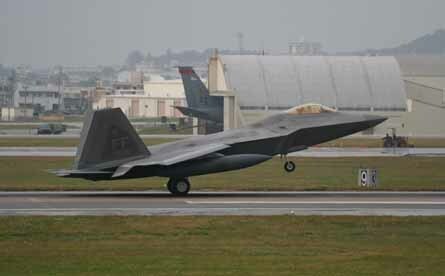 The US Air Force's Lockheed Martin F-22A Raptor has made its delayed first overseas deployment, with a detatchment of 27th Fighter Squadron aircraft from Langley AFB, Virginia having arrived at Kadena airbase in Japan from 16 February. The deployment of the 12-aircraft force was delayed by almost a week following the discovery of a navigation system software anomaly, which was rectified at Hickam AFB, Hawaii. The first F-16s that will be sold to the Royal Jordanian Air Force have arrived at Florennes and Kleine Brogel 'KB' Air Base. These are the first four of fourteen Belgian F-16 MLU's to be sold to Jordan. Two of those will be F-16B two seaters, the other twelve will be A models. These aircraft are were in storage in Weelde and technicians are detached there to put these aircraft back to flying status for their respective flights back to Florennes and KB where they will receive a Phased Inspection. It is understood that up to eight pods could eventually be purchased to equip the eight RAF Harriers operating at Kandahar Airfield in Afghanistan in support of NATO troops. Industry sources described the selection of the Sniper pod as a "strategic win" for Lockheed Martin, which was keen to break the near monopoly of Rafael and its UK partner Ultra Electronics on the RAF targeting pod market. Rafael and Lockheed Martin are now looking to win further orders for the remainder of the UK Tornado GR.4 and the Typhoon Tranche 2 fleets. PARIS 02.19.2007: A French fighter pilot was killed on Monday when his jet crashed into the sea during a training mission to the Mediterranean island of Corsica, the French Air Force said. The Mirage 2000 C, made by Dassault Aviation, crashed off the island's southern tip, near the city of Bonifacio, at around 1100 GMT, the air force said. "The pilot, an experienced air force aviator, died," the air force said in a statement. An investigation into the cause of the crash was being launched, the air force said. The US Air Force’s planned deployment of its newest stealth fighters to Japan has been postponed due to a computer problem, a US official said Feb. 13. Twelve F-22A Raptors had been scheduled to fly to Kadena Air Base on the southern island of Okinawa from Hawaii on Feb. 10. “We discovered a software problem in operating the navigation system,” said John Monroe, a spokesman at the base. Engineers are working to solve the problem in Hawaii but it is not known when the stealth fighters will head to Okinawa, he said. It will be the first overseas deployment for the new fighter, which was developed by Lockheed Martin as a successor to the F-15. The mission has been condemned by North Korea, which since Feb. 8 has been holding grueling negotiations with the United States and four other nations in Beijing on giving up its nuclear weapons. The deployment would bring 250 military personnel to Okinawa, Monroe said. The province has often seen friction between residents and troops over the U.S. military presence.